Located in the heart of downtown Ottawa on the ancestral territory of the Algonquin Nation, within walking distance of Parliament Hill and the Supreme Court of Canada, the University of Ottawa Faculty of Law provides the best opportunity in the world to study Common Law, Civil Law and Indigenous legal traditions in English or in French. With an emphasis on critical thinking skills, the Common Law Section’s solid curriculum can prepare students for any legal career in Canada or abroad. The Common Law Section’s faculty is composed of a wide range of experts, many of whom are renowned as leaders in their respective fields. 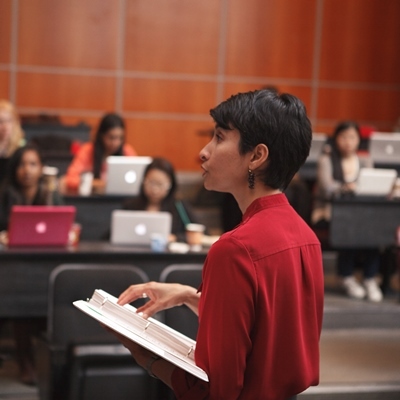 Through their scholarship, many of our professors have contributed to the transformation of Canada’s legal systems as well as the ways in which law is practiced, taught and conceived. 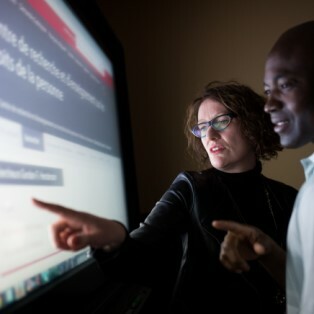 As a global and national leader in a variety of fields, Common Law offers specializations in Dispute Resolution, Environmental Law, International Trade, Business and Human Rights Law, Social Justice and Technology Law, Public Law and Aboriginal Law. The Centre for Law, Technology and Society has helped to solidify the law school’s position as the leading Law and Technology Faculty in the country. uOttawa also provides one of the richest sets of course offerings in the world in International Law. We are also home to the internationally renowned Human Rights Research and Education Centre. Furthermore, we are the national leader in Environmental Law and home to the IUCN Academy of Environmental Law. The Common Law Section is also pleased to offer some of the most exciting programs of study available anywhere, with many opportunities for students to volunteer their time and expertise to help enrich the community while acquiring the necessary skills and knowledge to uphold the rule of law and the values of the Charter. Why Choose uOttawa Common Law?